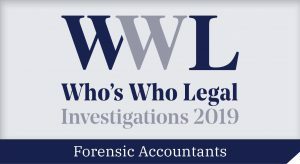 Derek is recognized in Who’s Who Legal Investigations, Consulting Experts, Thought Leader and Global Elite. Sources describe him as “pragmatic, commercial and technically strong and completely reliable even in incredibly difficult situations”. He is recommended for his “excellent analysis and superb delivery of expert witness testimony”. And “quick grasp of a business’s issues” in compliance program testing. He was also winner of Adviser of the Year UK in the Finance Monthly M&A Awards 2017. He has worked on a variety of complex frauds, and on bribery investigations, in jurisdictions including the US, UK, Sweden, the Netherlands, Switzerland, Eurasia and Russia. Most recently Derek supported Telia Company respond to bribery allegations arising from its Uzbekistan business, and with disgorgement and pecuniary gain analysis in its $965 million FCPA settlement with the DOJ, SEC, and the Netherlands. Derek also assisted Rolls-Royce in the civil aerospace component of its settlement with the SFO and DOJ. Prior to that Derek led the FRA team assisting Alstom respond to bribery allegations leading to regulatory settlement in Switzerland, and supported investigations in the US and the UK. He also provided factual evidence to the Austrian Courts with respect to a securities and real-estate fraud claims totalling over €2 billion. Derek is presently co-leading FRA’s compliance program testing of an international corporation as part of the independent compliance monitor team appointed under a Deferred Prosecution Agreement. In addition Derek has conducted a wide variety of compliance program assessments, internal audit reviews, controls testing, and related third-party distributor and agent reviews. Prior to joining FRA, Derek was an experienced corporate executive. He was the Group Treasurer for easyjet plc, where he successfully managed significant funding, investment and OTC hedging portfolios, as well as investor relations activities. He was a senior member of the MBO team, which bought and sold the low cost airline “go” at British Airways plc, and worked in Ford Motor Co in financial control and internal audit roles. 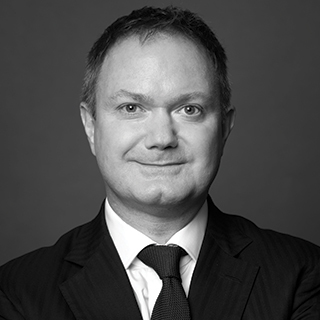 He also served as Managing Director of the UK’s first litigation funding provider, IM Litigation Funding, managing funding in over 50 litigation cases in the UK and the US.